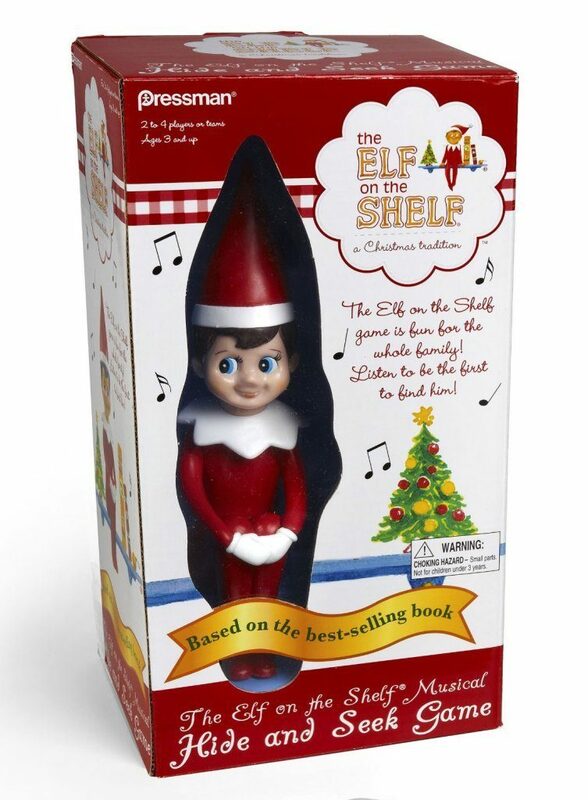 Elf on The Shelf Hide and Seek Game Just $8.41 + FREE Shipping with Prime! You are here: Home / Great Deals / Amazon Deals / Elf on The Shelf Hide and Seek Game Just $8.41 + FREE Shipping with Prime! Head over to Amazon and get the Elf on The Shelf Hide and Seek Game for just $8.41 (reg. $19.99). Shipping will be FREE with Amazon Prime or an order of $35 or more. The Elf on the shelf is hidden but the music that you hear will help you find him. Someone hides Elf and then everyone tries to find him. The first player that does gets to put a gift in their sleigh and the first player to get 3 gifts in their sleigh wins.